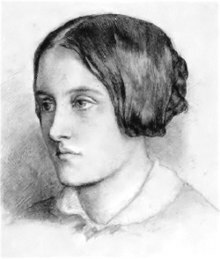 Christina Rossetti (1830–1894) was a Victorian poet. She is known for her poem Goblin Market, and her sonnets. Her father was also a poet, and her brother Dante Gabriel Rossetti was a painter. This page was last changed on 9 June 2014, at 14:36.